At 10:59AM, CTVFC was alerted for an automatic fire alarm at a local nursing facility. While enroute, units were advised by dispatch of a fire in a patients room. 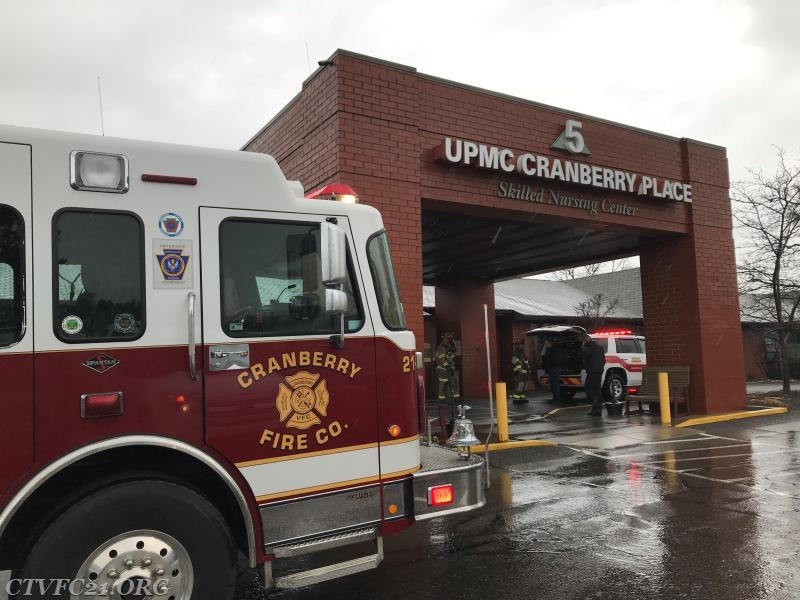 Chief 21 immediately upgraded the call to a structure fire response bringing a SAFER Group response (Station 90) as well as Cranberry Township EMS (Station 51). Fire units arrived to find a smoke condition in one room from an extinguished fire in a wall mount HVAC unit. The assignment was held to Engine 21-3, Tower 42 and Engine 185. Units ventilated the room and returned into service in just under 1 hour. Great job by the staff at the facility who acted quickly, using a fire extinguisher to control the fire and quickly evacuating all residents from the area.